There’s two very good reasons why Big Agnes’ Insulated AXL Air won a Peak Gear Award from Elevation Outdoors magazine: It’s crazy light and it keeps you warm and comfy. That’s exactly what you want from a sleeping pad that you plan on using for three seasons of peaceful backcountry snoozing. To keep it tough and reliable the outer is built with ultralight, patent-pending, patterned random rip-stop nylon and Aviation grade TPU lamination. To give it extra warmth when you lie on the cold ground, it’s insulated with PrimaLoft Silver laminated with a layer of Mylar to reflect heat back to to the user and prevent heat loss (it’s rated down to 32 degrees). But none of that technology and warmth comes with a weight penalty: The easy-to-pack pad tips the scales at just 11.9 ounces in the 20″x72″ size. That incredible performance is what impressed EO’s core team of contributors enough to bestow a Peak Gear Award on the pad. Twice each year we ask our editors, writers and photographers to nominate the gear that they actually go out and use most. We ask them: “What was the best gear you used over the past year? What gear can’t you live without? What gear changed your life?” You can count on the winners being stuff that was actually used and loved out in the wild. 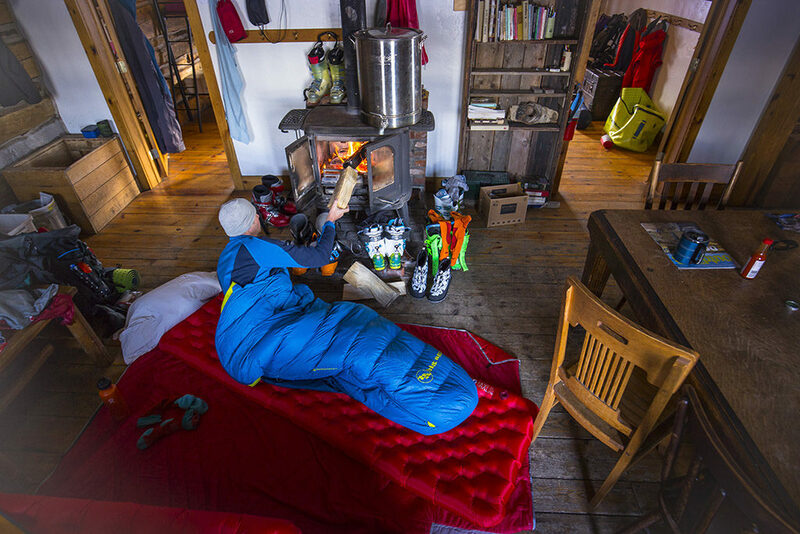 It was not the first time Big Agnes has won a Peak Gear Award. The brand’s ultralight backpacking tents, sleeping bags, puffy jackets, and big family car camping tents are all staff favorites. Based on Colorado’s Western Slope, photographer Devon Balet spends a ton of time biking, hiking, exploring and sleeping on the ground. He summed up what he liked best about his favorite sleeping pad in one tidy sentence: “This carry-anywhere pad is the size of a can of beer and damn near the same weight, too.” Along the way, he took it backpacking, bikepacking, packrafting and on long train rides. 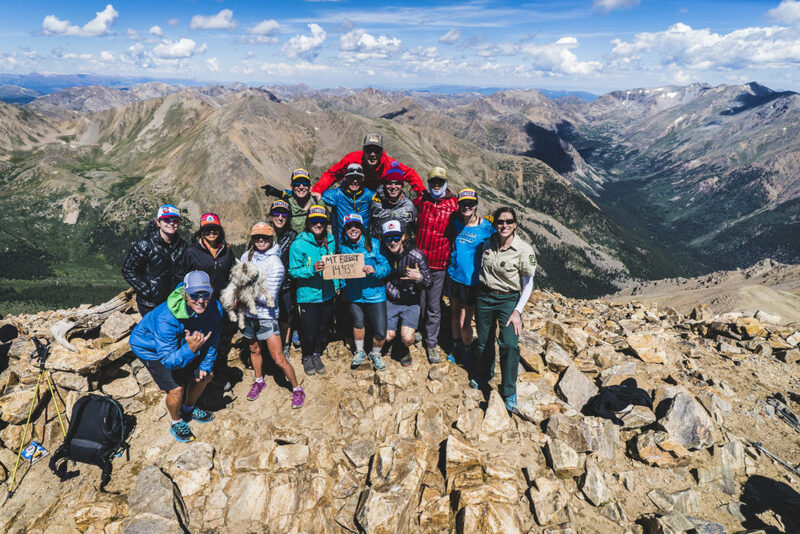 The Big Agnes and Honey Stinger crews on top of Colorado’s highest summit—Mount Elbert. Photo by Devon Balet. Beyond the technical performance of its products, we here at Elevation Outdoors are also big fans of Big Agnes as an outstanding local Colorado brand. Over the summer, the Steamboat Springs-based brand told its employees to “Go take a hike.” Big Agnes (and sister brands Honey Stinger and BAP) informed 120 employees that they would get paid volunteer leave if they wanted to tackle the 740 trail miles and 145,043 vertical feet of climbing along the Colorado portion of the Continental Divide Trail. Seventy took on the challenge, which Big Agnes dubbed the Border to Backyard Quest. On June 11, the odyssey started on the New Mexico-Colorado border. Big Agnes also donated $30,000 to the Continental Divide Train Coalition (CDTC). And, of course, those Insulated AXL Air pads made the voyage all the more bearable. 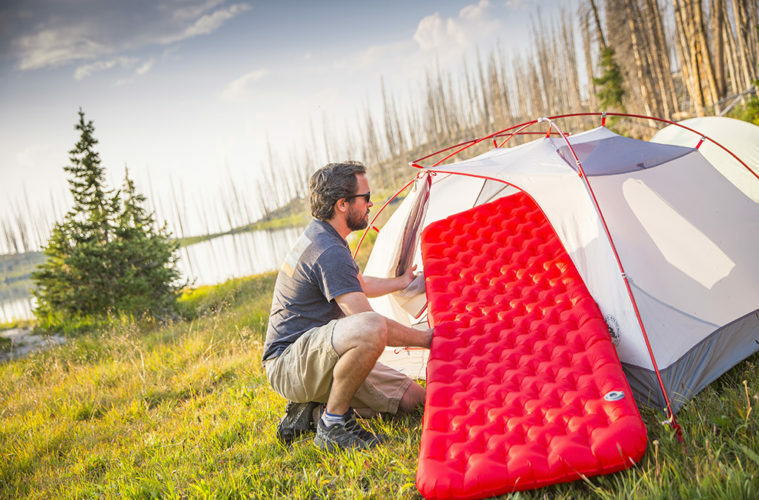 Head to Big Agnes’ website HERE to learn even more about the Insulated AXL Air. Not sold yet? Check out the video below for more info straight from Big Agnes.